L for Lanka… L for Leopards. Since 3 April, visitors can now discover the exotic wildlife found in eight iconic river habitats with the soft opening of River Safari. The 12-ha River Safari is the newest addition to Wildlife Reserves Singapore’s portfolio of award-winning parks and will showcase animals from freshwater habitats inspired by eight of the world’s iconic rivers including the Mississippi, Nile, Mekong, Yangtze and Amazon rivers. The park will be home to over 150 plant species and 5,000 animal specimens representing 300 animal species, including one of the world’s largest collections of freshwater animals. Among the unique aquatic and terrestrial animals featured in the park are endangered river giants such as the Giant Salamander, Giant Freshwater Stingray and Mekong Giant Catfish. River Safari is the only park in Asia to feature the Giant River Otter, the world’s largest otter that can grow up to 1.8 metres. Nicknamed Ol’ Man River, the Mississippi got its name from the Native American Ojibwe words meaning ‘Great River’ and rightly so. See this great waterway come alive at River Safari. Sneak a peek into the life of nature’s greatest architect, the beaver, through a cross-section view of its lodge, uniquely constructed on land, underground and underwater! Watch out for the pre-historic looking river monster, the alligator gar as well as the peculiar Mississippi paddlefish with its distinctive snout. Named after the ancient Kingdom of Kongo, the Congo River is the deepest river in the world, going beyond 220 metres. The Congo River exhibit at River Safari is a playground for some of the world’s most colourful fish. Admire the rainbow of dazzling colours in jewel tanks filled with schools of Congo tetras and be mesmerised by the beautiful yet territorial Jewel cichlid, which boasts colours of vibrant gemstones. The world’s longest river at 6,650 kilometres, the Nile has been bringing life and wealth into Egypt since the Stone Age. Meandering through 10 African countries, it quenches the surrounding desert terrain and deposits rich sediments that fertilise crop lands. Inspired by the lost world of ancient Egypt, this ‘River of Life’ at River Safari features creatures both spectacular and savage. As you observe the submerged ruins, be on the alert for the fearsome tigerish and the curious looking giraffe catfish. Flowing through India and Bangladesh, the Ganges is most revered by followers of Hinduism. It is worshipped as a goddess known as Mother Ganga. Come up close to the water creatures of the Ganges at River Safari. Inspired by the temples along Mother Ganga, this exhibit features Indian gharials, a myriad of colourful fishes and other aquatic life, including the intriguing goonch catfish. Experience the charm of the Mekong at River Safari and get up close to some of the world’s largest freshwater animal species – the Mekong giant catfish and the giant freshwater stingray. These river giants are housed in a massive exhibit that is as large as four double decker buses! Nearby, watch the crab eating macaque dive in to the flooded mangrove for food. And spy the lesser adjutant stork as well as other inhabitants of the unique Mekong river padi field eco-system. Be transported into the region of Chang Jiang at River Safari, where you can admire some of the world’s most critically endangered wildlife that reside within the Yangtze basin – the rare Chinese alligator, the Giant Salamander and the prehistoric looking sturgeon. After all that excitement, entice your taste buds at our specially-designed thematic restaurants. Feast on savoury Chinese fare at the River Safari Tea House located at the Entrance Plaza, or tuck in to delectable Szechuan cuisine and panda-themed bites at the Mama Panda Kitchen, right by the Giant Panda Forest. Visit the House of Kai Kai & Jia Jia to stock up on giant panda-inspired memorabilia and complete your adventure by taking home treasured memories of the River Safari with you from our unique underwater-themed retail shop, the River Safari Shop. The park is open every day of the year from 9.00am to 6.00pm. In addition, visitors may enjoy multi park savings with the “Park Hopper” special, which allows visitors to visit 2 or more other parks at a fixed price. Experts and conservationists believe that a project on the lines of Project Tiger has to be launched in order to save the Great Indian Bustard (GIB) that is threatened with extinction. Prerna Singh Bindra, member of the National Board for Wildlife, said that Conservation India (CI), a wildlife conservation portal, has urged Gujarat Chief Minister Narendra Modi to take immediate measures for conservation of the threatened bustard species. “If action is not taken, this bird could become the first mega species to go extinct in the country since the cheetah. Only a ‘Project Bustard’ can save the species, just as ‘Project Tiger’ did for our national animal”, said Bindra. According to CI’s campaign paper, “Act Now! 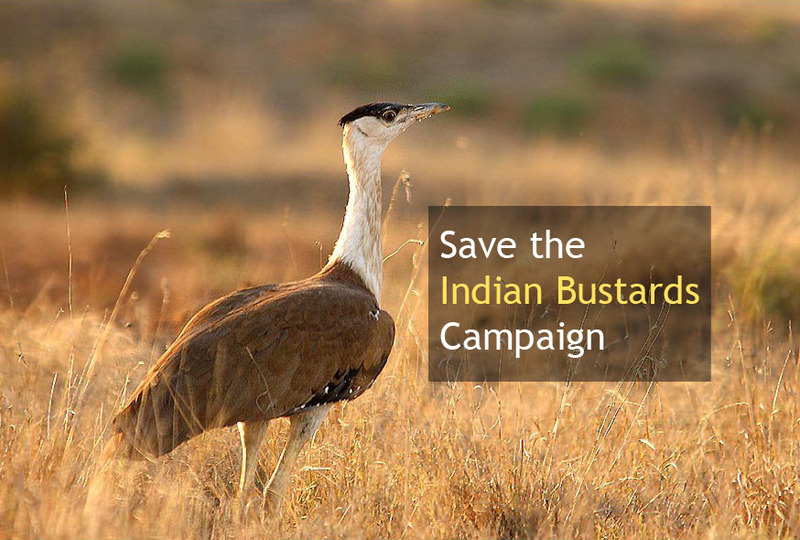 Or say Goodbye to the Great Indian Bustard,” there may be less than 200 Great Indian Bustard left in India. In Gujarat, 50 of the threatened bustard species are to found in Kutch. The bird has already disappeared from more the 90 per cent of its former habitats. “What is worse, the meager remaining number is fragmented into small populations across several Indian states, making the bird even more vulnerable to extinction. If urgent and targeted conservations actions are not taken immediately, the bird will almost certainly go extinct within the next decade or two,” says CI co-founder Ramki Sreenivasan. The Great Indian Bustard (GIB) is found in Rajasthan, Gujarat, Maharashtra, Madhya Pradesh, Karnataka and Andhra Pradesh. The largest population of about 100 birds is in Rajasthan where it is the state bird. The GIB is threatened with extinction because of the reduction in undistributed arid and grassland (its habitat), degradation of and distribution to its existing habitat, hunting, lack of projection for many traditional “lekking” and nesting sites, and lack of a management and conservation policy for natural grassland. Apart from these issues, there is lack of cooperation between different departments and stakeholders in GIB habitats. Livestock overgrazing and disturbance by tourists and photographers, especially during breeding season, have also contributed to reduction in GIB numbers. According to the campaign paper, there is a need for urgent and coordinated actions, including setting up of a secure and fully protected ‘lekking’ sites, where male bustards gather to attract females. Also there is a need to constitute a GIB task force in every state where these birds are to be found. A full – scale ‘Project Bustard’ on the lines of Project Tiger needs to be launched for the threatened bustard species, conservationists say. The Ministry of Forests and Environment has demanded that the possibility should also be looked into.